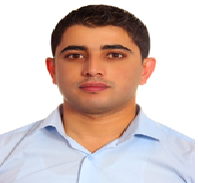 Yousif Al-rafaie Graduated from Technical College – Erbil with a degree in Accounting and finance. He then completed a Master of Finance and Investment at the BSB Sheffield Hallam University. After experience as an Accountant and finance management he is joined Soran University in 2008. Yousif’s current role is in charge of Quality assurance department at Faculty of Law. He initiates leadership, academic vision and management for a diverse team of academic staff. Yousif’s teaching responsibilities are focused on banking operations, accounting and public finance. He also working as finance manager, financial consultant and accounting trainer in private sector. Youisf’s research focuses on Foreign Investment, unemployment and payment system.